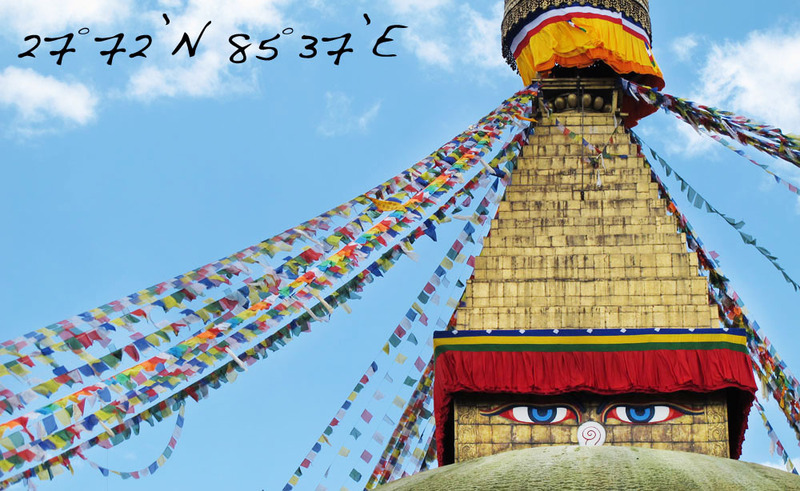 It feels like the beginning of the year is spent celebrating a lot of "new years" (the western calendar, Chinese calendar, Tibetan and Nepali New Year is coming up). 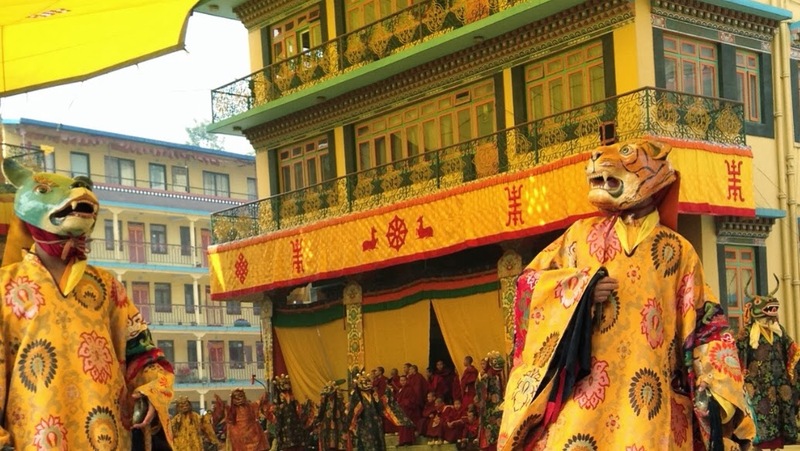 March 1st marked the beginning of the Tibetan New Year. 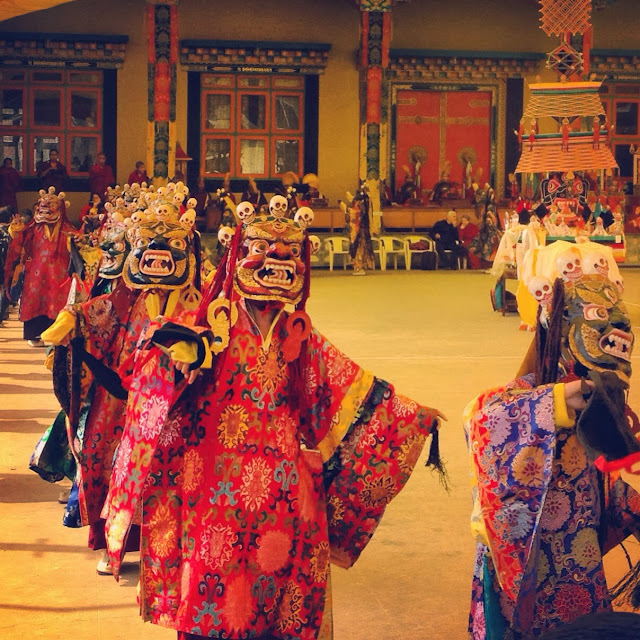 Part of the celebration includes masked dancing called Losar Cham. 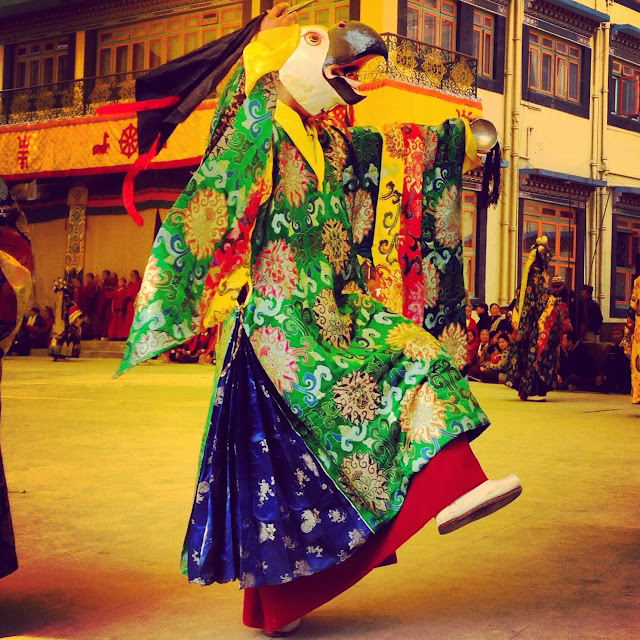 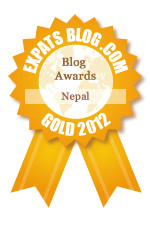 cham : means sacred dances. 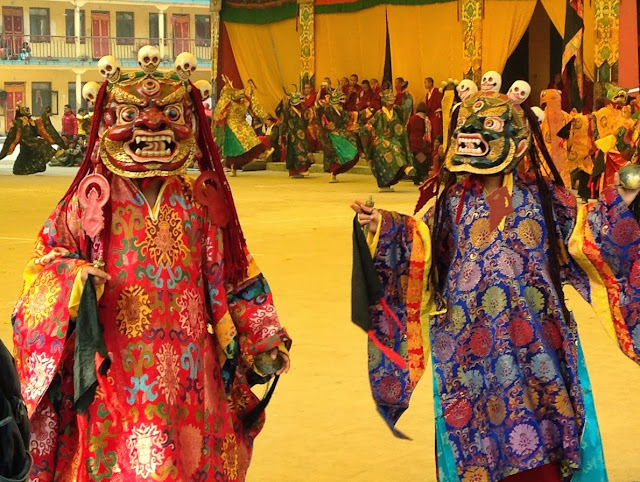 The dances are performed on the second last day of the Tibetan calendar to purify and eliminate all negative feelings, thoughts and actions of the finishing year. 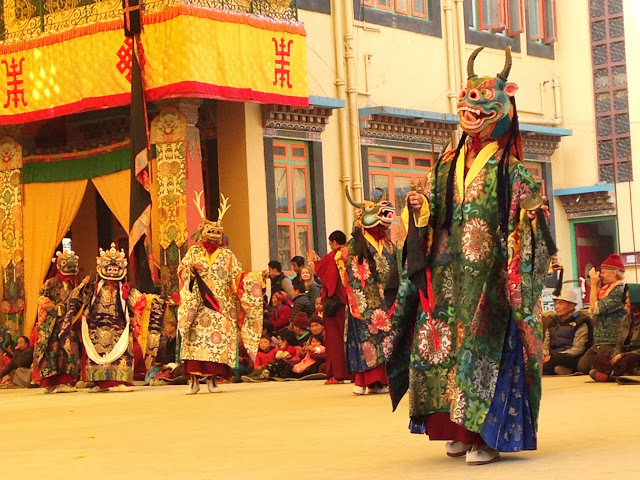 Jeremiah went to this Losar Cham at Benchen Monastary.